In addition to the fact that the conduct at issue in these investigations is global in scope, there has also been a trend towards increasing cooperation among enforcement agencies. Indeed, the UK’s Financial Conduct Authority (“FCA”) has recently noted “a steady increase in the number and complexity of international requests for assistance in enforcement-related matters,” explaining that in the 2013-2014 year, the FCA received 1022 formal requests for assistance from overseas counterparts. Moreover, these requests increasingly “require more intensive assistance, e.g. through interviews as well as the more routine gathering of information and documents.” The Antitrust Division, too, has recently stated that it “meet[s] regularly with our partners in the European Commission, and [has] enhanced that relationship in recent years” in addition to continued engagement with enforcement colleagues in other jurisdictions. Auto Parts Price Fixing Investigation: This investigation concerns alleged price fixing in connection with approximately 40 different parts, including wire harnesses, electronic control units, and ignition coils. It is one of the Antitrust Division’s largest investigations and, in the United States, has resulted in over $2.3 billion in fines; 27 companies that have pleaded guilty or agreed to plead guilty; and 36 individuals who have been charged. European Union authorities have imposed fines of more than an additional $1.25 billion. Japan and Korea have also imposed fines in excess of $100 million. Benchmark and FX Investigations: The United States, UK, and EU have all had active investigations into alleged manipulation of benchmark and foreign exchange rates. Indeed, earlier this month, the FCA stated that there has been “unprecedented global cooperation” in connection with the FX investigation, resulting in 52 requests for assistance related to FX in 2013-2014. Capacitor Cartel Investigations: News reports suggest that U.S. authorities may be investigating capacitor cartel manufacturers and cooperating with enforcement agencies in Asia and Europe. Indeed, recent articles state that, in addition to the United States, China, Japan, Korea, and the EU are participating in this investigation. While the investigation appears to be in its early stages with no publicly announced indictments, it seems likely at this point that international enforcement agencies will cooperate on this investigation as well. 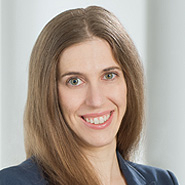 As enforcement agencies cooperate in conducting their investigations – and as it becomes increasingly apparent that an antitrust investigation in the European Union may prompt one in the United States, and vice versa – entities that find themselves responding to an antitrust inquiry in one jurisdiction should consider retaining counsel in other relevant jurisdictions to navigate the complex issues that arise in cross-border investigations and to mitigate potential collateral consequences. Corporations should also be aware that, in a global economy where goods frequently travel overseas and financial trades take place across great distances with the click of a button, the fact that a corporation acts and operates within one jurisdiction may not preclude enforcement activity or criminal prosecution in another.